Irashai-mase, Welcome to EDO and the wonderful art of Japanese Cuisine. The EDO cocktail, wine and saké list has been carefully selected to complement our menu and maximize your dining pleasure. We sincerely hope that your experiences at EDO give you a glimpse into the pride, obligation and cultural influences of Japan that are the essence of every dish we serve. A graduate of McGill University in Montreal, with a B.A. in Psychology, Barry received a Japanese Government Mombushu Research Fellowship to study at Tokyo University in Japan in 1973. He returned to Montreal to start his own international product development, marketing and distribution company. His ideas, strategies, and products have taken him all over the world, and his products licensed in many countries. He has received awards for product and merchandising design. In 1986, Barry founded EDO, making a financial investment in a Japanese restaurant in mid-town Toronto, serving authentic Japanese cuisine. In the spring of 1996, he took over direct management of the business. In recognition of his efforts to bring authentic Japanese food to Toronto and his constant efforts in education and cultural bridge building, Barry was made a Fellow of the Ontario Hostelry Institute (OHI) in 2003. Barry also founded Kids for Kobe, a charity established to assist children who suffered from the Kobe Earthquake in 1995. He is active in supporting various community health, education and charity organizations. He has appeared on several TV shows and enjoys conducting sushi cooking classes, together with his chefs, in the making, history, etiquette and culture of Japanese Cuisine. Involved in other business ventures, Barry is a consultant in strategic planning and marketing in international business. He is also a father to three terrific, energetic young men. EDO is the former name for Tokyo. During the period of control by the Tokugawa Shogunate from 1603 - 1868, Japan's emperor's lived in secluded majesty, and captivity, at the Imperial Palace in EDO. The emperor had been moved from his power base and long-time home in Kyoto. During the EDO period, culture flourished. Tea ceremony (Sado) and flower arrangement (Ikebana) evolved and became the essence of aesthetics in Japanese life. This approach to the visual world reached its zenith in Japanese cuisine through Kaiseki, originally a Buddhist monk's approach to eating and serenity, making maximum use of available materials necessitated by scarcity. Today in Japan, daily dishes are now beautifully prepared and presented. 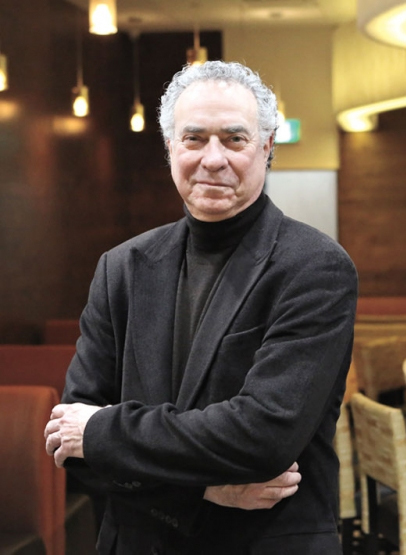 <div">In 1986, founder Barry Chaim took his love and learning of Japanese culture and invested in opening EDO, a Japanese restaurant in midtown Toronto, serving authentic Japanese cuisine. In the spring of 1996, he took over direct management of the business and two years later, EDO received recognition as one of Gourmet Magazine’s "America’s Top Tables". In June of 1998, a second location, EDO-ko, was opened in Forest Hill Village. EDO Sushi was introduced to excellent reviews at the 1999 opening of the Air Canada Centre, the first in the world outside Japan in a sports arena. January 2000 saw the Eglinton West location move across the street to a larger venue which has permitted expansion into full catering, private functions and special events. In December of 2014, EDO opened a new eatery in Bayview Village, one of the top malls in Canada, in the heart of North York. EDO also participates in various consumer and fine food and wine shows to bring to the general public an opportunity to experience and enjoy great sushi and other Japanese specialties. EDO offers a combination of traditional cuisine, called Washoku, and contemporary Japanese cuisine called Seiyo-ryori (European influenced Japanese techniques). Menus feature fresh, high quality and seasonal ingredients. Dishes include the steamed chawan-mushi, a Japanese egg custard soup, with lobster bisque and fresh lobster meat. Main courses include traditional but exquisitely prepared miso-marinated black cod or Angus steak or teriyaki. Delectable sashimi and sushi choices range from Tiger Tuna, Seaseme-Yellowtail (Hamachi), Black Dragon Roll with fresh water eel, salads with our famous EDO ginger dressing and other unique EDO sauces.